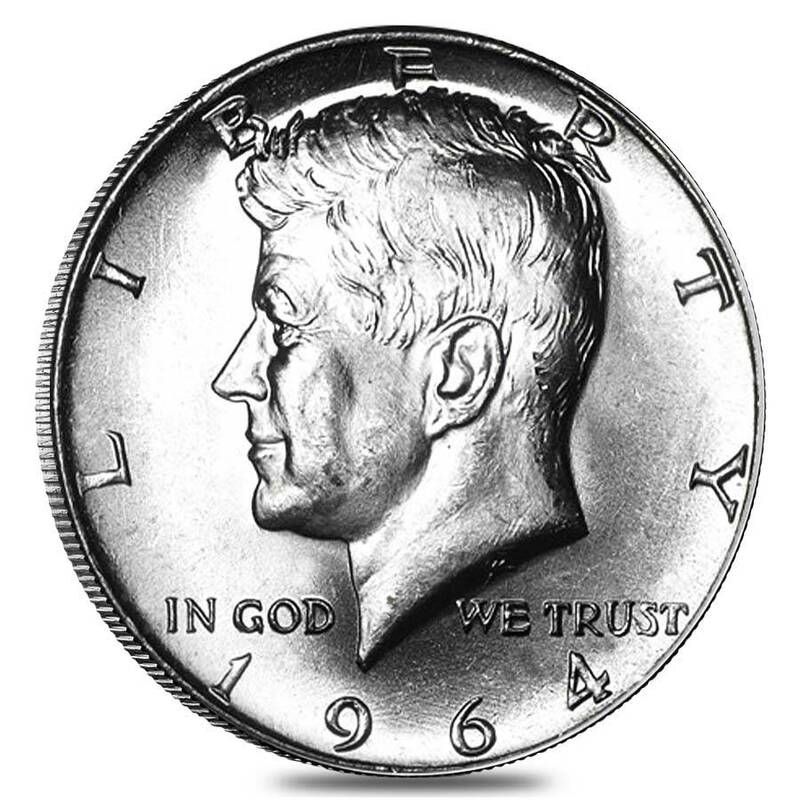 The Kennedy Half Dollars were issued to memorialize the slain leader, John F. Kennedy, on November 22, 1963. The coin was and continues to be extremely popular even today. The two designers involved in creating this coin, were the US Mint’s chief engraver, Gilroy Roberts, for the obverse, and the reverse was designed by his assistant engraver Frank Gasparro. Now you can buy the 1964 Silver Kennedy Half Dollars in a 20-coin roll with a face value of $10 in total. Roll of twenty coins, each made from 90% fine silver with a weight of 0.3617 troy oz. Each coin comes in Uncirculated Condition. All coins in the roll were minted in 1964. 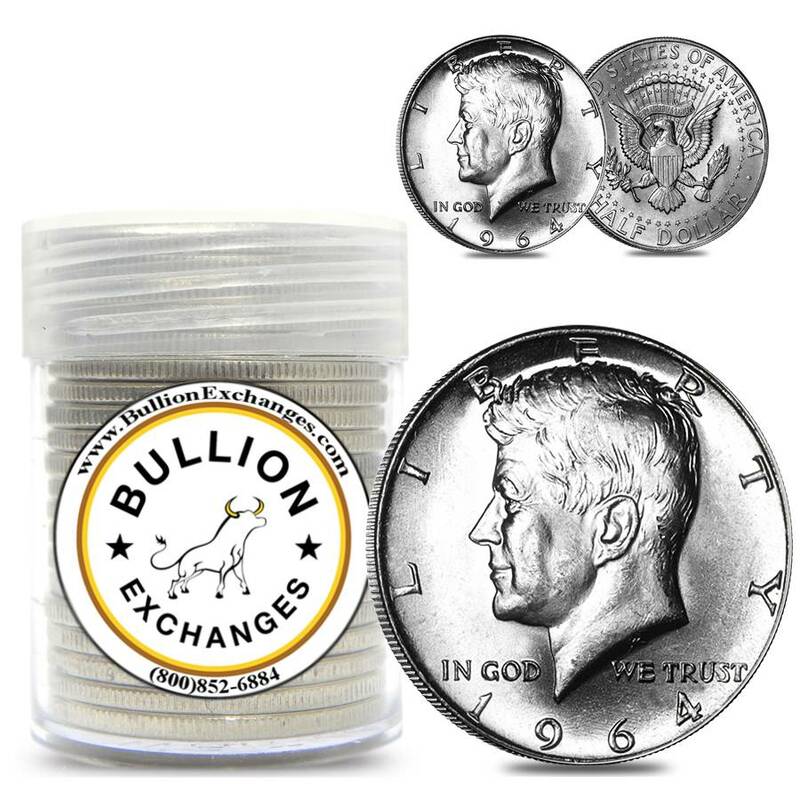 Comes in a clear protective plastic roll containing 20 Kennedy Half Dollars for a total of $10 face value. Obverse: Features a left facing handsome portrait of John F. Kennedy. Inscriptions - "LIBERTY," "IN GOD WE TRUST," and year of mintage (1964). A design by Gilroy Roberts. Reverse: An adaptation of the Presidential Seal showing an eagle with its wings widespread upholding a striped shield, as well as an olive branch and bundle of arrows in its talons. Inscriptions - "UNITED STATES OF AMERICA," "HALF DOLLAR," and "E PLURIBUS UNUM." Design by Frank Gasparro. On November 22, 1963, America lost a young and vibrant leader, President John F. Kennedy. He was assassinated in Dallas, Texas while he was on a political trip to Texas. Within hours after his death, the US Mint was considering bringing out a new coin to honor the assassinated leader. The Mint Director, Eva Adams, informed the chief engraver, Gilroy Roberts, that he wanted him to create a design for this new coin as soon as possible. Due to the time constraint, Gilroy had to use the already existing bust of Kennedy, also his design, that was used for the Mint’s Presidential series. While Gilroy was given the responsibility of designing the obverse, the reverse was trusted to assistant graver Frank Gasparro, who had designed the reverse for the Kennedy medal. It was not yet decided as to which denomination would be chosen for the new coin. The recently widowed Jacqueline Kennedy had chosen the half dollar to honor her husband as she did not want to replace George Washington on the quarter dollar. Since it had been only 16 years since the Franklin Half Dollars came into circulation, to introduce a new coin, a congressional act was required as per the 1890 law. According to the law, a coin has to serve for up to 25 years before it can be replaced by a new coin without the congressional act. A bill authorizing the Kennedy Half Dollar was passed on December 30, 1963. On January 30, 1964, the first set of coins were struck at the Denver Mint followed by the Philadelphia Mint the next week. 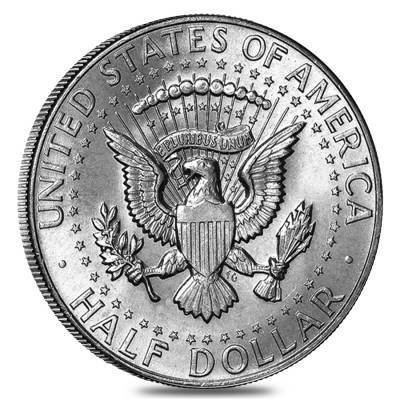 Browse our vast collection of Silver Half Dollars, and feel free to contact us at 800-852-6884 if you have any questions in regards to any of our products. With this purchase, you earn 138 Bullionaire Bucks 138 BB = $0.14. For every $1 spend, you will earn 1 Bullionaire Buck which is equivalent to $0.001 off a future purchase. 138 BB = $0.14.